Long before social media and the invention of the selfie, photography was our window into understanding our fellow humans, to mark huge moments in world events, and to understand how people of each era lived, dressed, and acted. 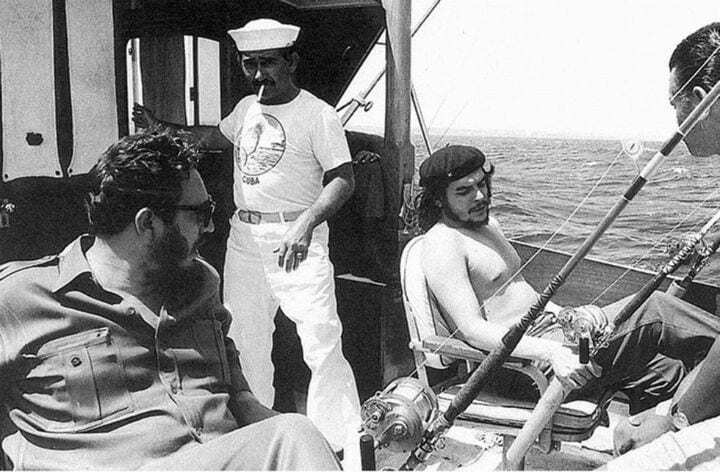 But some historical photos are just too incredible to be believed. From Sweden to Afghanistan and from England to the USA, these rare and unusual historical photos will make you rethink what you thought you knew about the past, to discover worlds we barely recognize today, and to better understand our present. 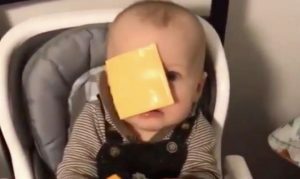 Get ready to be fascinated by these amazing freeze frames. They may be flashing the camera some toothy grins, but behind the scenes of this pic of the Fab Four, their situation was anything but happy. Though The Beatles were the biggest band in the world, by 1969, they had reached their breaking point. Paul McCartney was already on his way out of the band, and their albums Let It Be and Abbey Road had already finished recording. 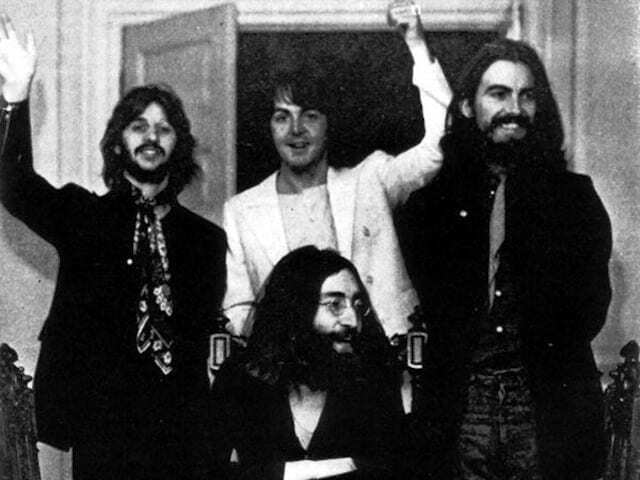 This photoshoot at John Lennon and Yoko Ono’s house was the last time The Beatles would appear together. Get a gander at this adorable pooch dressed up and ready for battle. His friends are having plenty of fun playing around with their patient four-legged buddy and dressing him up like a proper soldier. But when you learn who these people are, your smile will fade. 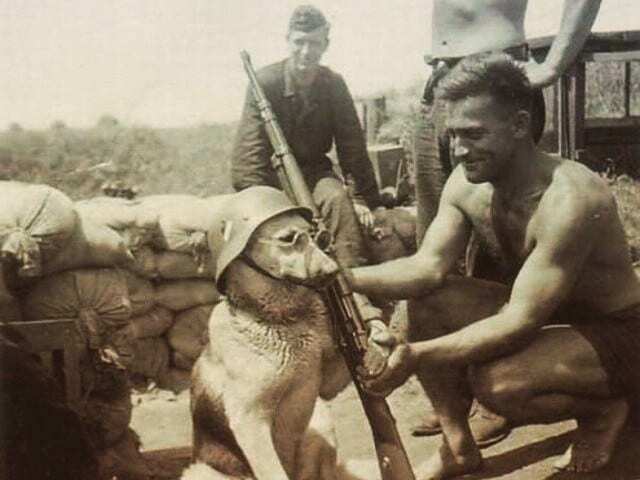 Unfortunately, this dog is a good boy in extremely bad company. His companions are Nazis in the German Wehrmacht, photographed in 1940 towards the beginning of World War II. Poor pooch: he didn’t choose to be surrounded by these villains. Ah, the early days of flying, when any safety guidelines whatsoever were just vaguely rumored to exist. 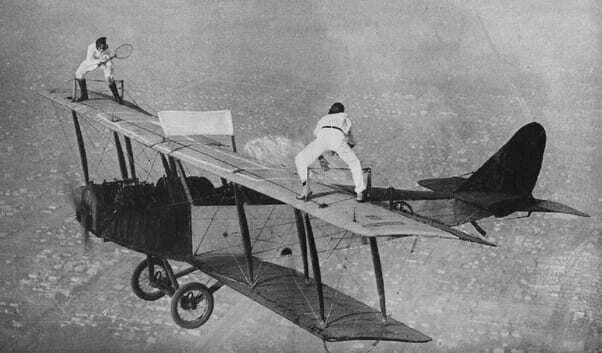 The art of wing-walking across biplanes is something lost long ago, but thanks to this and other such historical photos, we can all collectively gape and wonder what they were thinking. Here, daredevils Ivan Unger and Gladys Roy play a match of tennis on the roof of a plane in 1925. Though the two made careers out of doing jaw-dropping acts like this, we wouldn’t recommend it to the every-day thrill seeker. 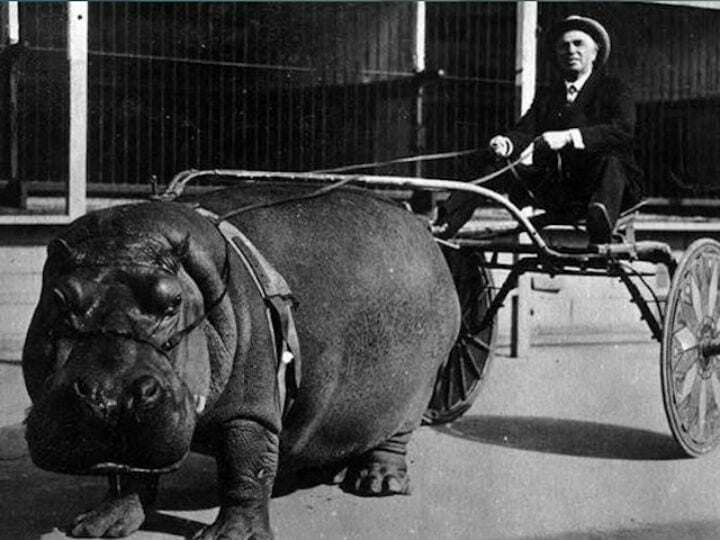 In 1924, automobiles were still a relatively recent development, but as horse-drawn carriages went out of fashion, people became increasingly creative with their modes of transport. Observe this wacky ride. Would you want to hop on board? If so, you’d be in luck: this hippo is a trained circus performer. 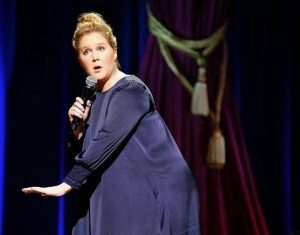 Otherwise, as anyone who’s lived in Sub-Saharan Africa can tell you, hippos are one of the most dangerous animals on the continent. And while this docile beast may look like it is slowly plodding along, hippos can actually run faster than humans! Can you imagine what kind of waivers you’d have to sign in order to get into a joint like this? This fearless squad seems to be utterly unconcerned with their surrounding, taking the concept of ‘ladies who lunch’ to the next level. 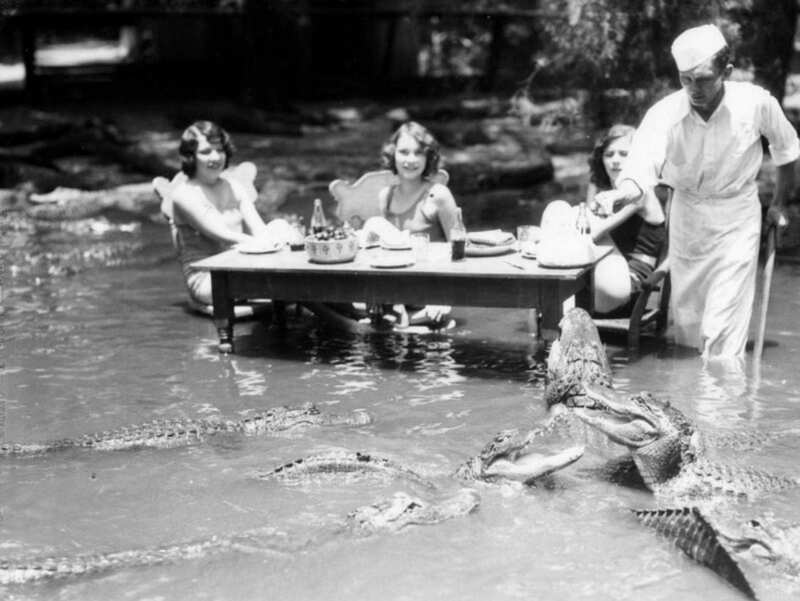 Remarkably, though this public-accessible alligator farm was a popular hangout spot in the 1930s, it was nowhere near these reptiles’ natural habitat. 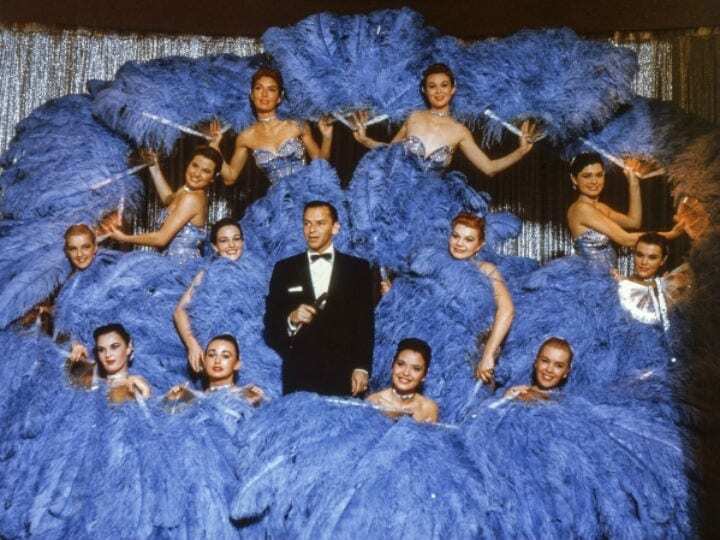 In fact, the establishment was smack dab in the middle of Los Angeles, until it packed up in 1953. After the first use of poison gas on the battlefield in World War I, the general public in Europe became increasingly concerned that in the next occasion that war might strike, they had to take all precautions. 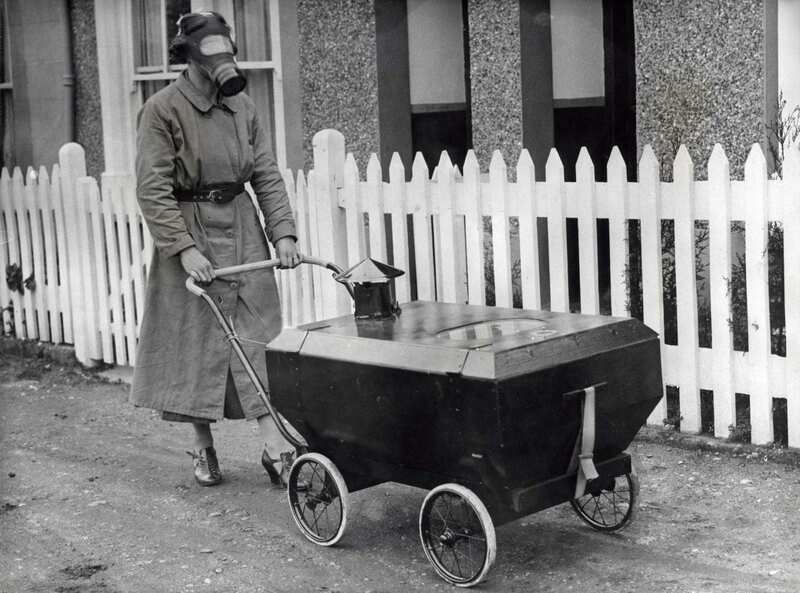 Here in January 1939, a British woman pushes a gas-proofed baby carriage. Though World War II wouldn’t start for another eight months, and German bombing raids wouldn’t come to the UK for nearly a year and a half, the escalation in tensions made the British public extremely nervous — concerned enough to make this macabre contraption. Certainly, over the course of the 20th century, dressing up in drag has become just a smidge more sophisticated than this. 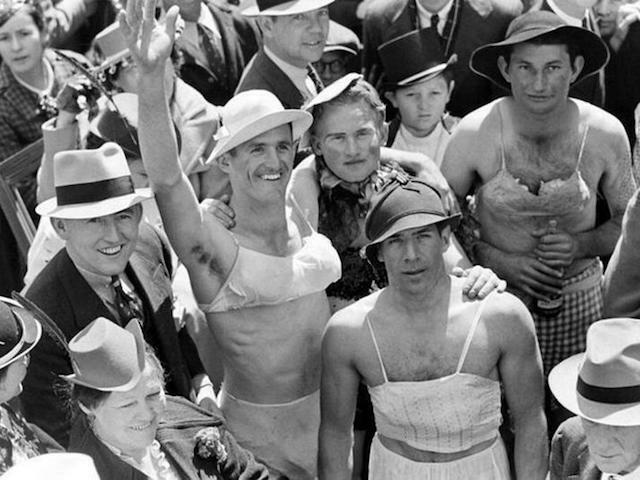 But you can’t blame these men for trying to look lovely while keeping it simple: after all, this was Mardi Gras at the height of the Great Depression. 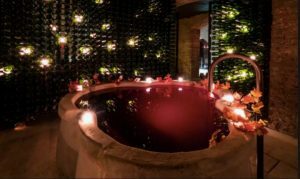 This holiday is a huge reason why people continue flocking to New Orleans for its endless uniqueness. And as this and other historical photos from a very conservative period show, Mardi Gras is the perfect opportunity for people to go wild and step out of social norms. Do you recognize the gentleman on top playing airplane with a cigar in his mouth? He’s one of the most famous figures of the early 20th century. 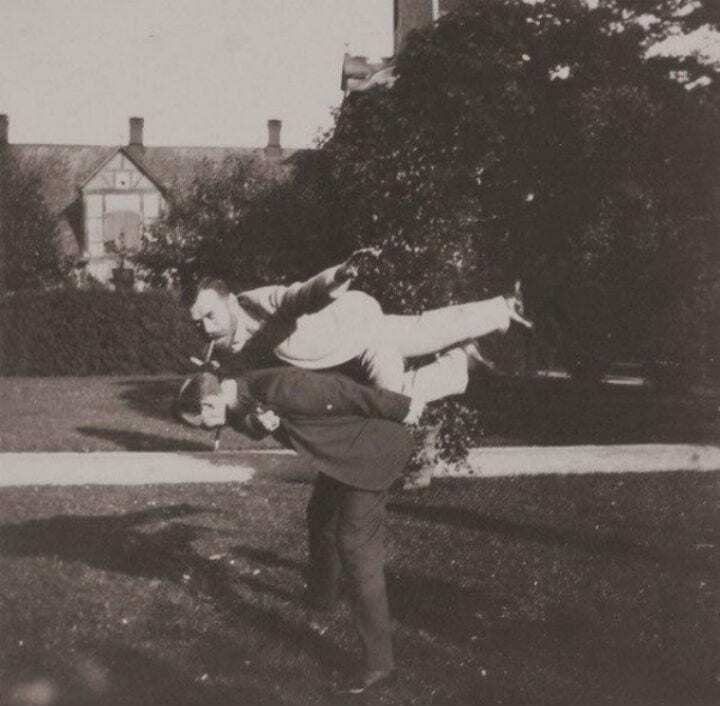 Believe it or not, that’s Tsar Nicholas II, the last Emperor of Russia, clowning around with a friend. What can be barely seen in the photo is that regardless of the fact that the Tsar is taking some time off from ruling his empire to relax, he’s still wearing his white military officer’s uniform. Has he never heard of business casual? What the heck is this kangaroo doing in front of the pyramids, so far from home? The secret lies in the uniformed men marching around him. This rarest of historical photos is from December 1914, the beginning of World War I. But what does that mean? As the war picked up in intensity, England’s allies from across the British Empire began shipping over to set up camp and prepare their attack. 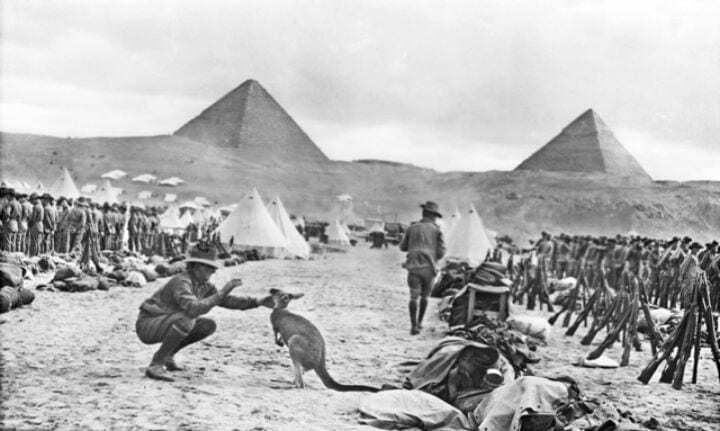 These are Australian troops who have come to British-controlled Egypt — and one of them has brought along a kangaroo, just in case they get homesick! This is the silliest cafeteria you could ever think to come across. It seems the park staff is all smiles in this classic photo at Disneyland in its early years. After all, having folks dress up like cartoon characters for a job was still relatively new. 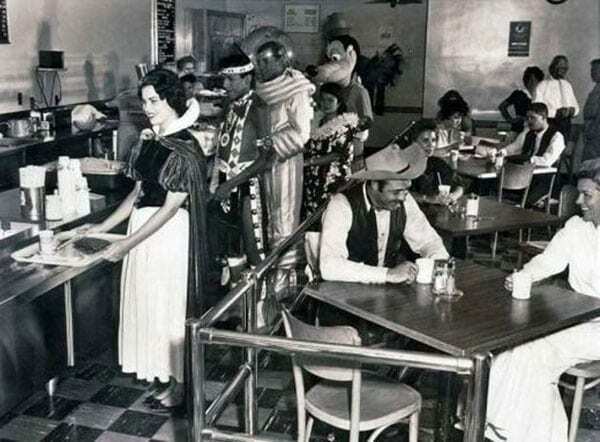 The craziest part about this picture isn’t Snow White or Goofy. One of the details in the background actually expresses hope for days yet to come: the astronaut. When this photo was taken, Americans had not yet set foot on the moon. 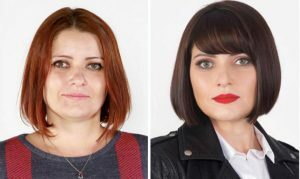 Get a load of the fabulously free hair on these women. 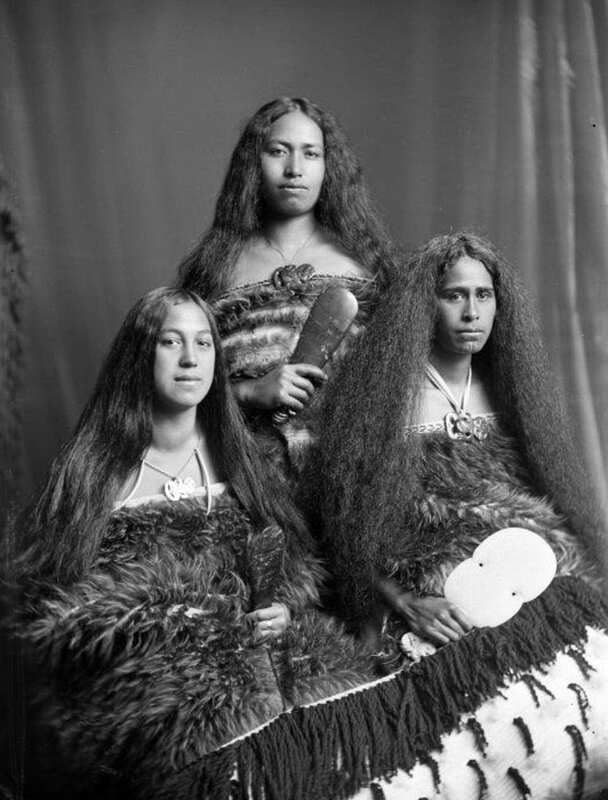 Photographed in their native New Zealand in the late 19th century, just about every aspect of these Maori ladies represents their rich cultural history. Their furry cloaks are actually made from kiwi bird feathers. Each woman has a ceremonial jade figure hanging from her neck, called a tiki. And look closely at the woman on the right: she has traditional tattoos on her chin. But their faces are relatively bare: Maori often got symbolically inked all over their face and bodies. Wouldn’t you love to be a part of this celebrity-filled crowd? This is just one of many historical photos from the incredible Live Aid fundraiser concerts in 1985, and this crowd at Wembley Stadium in London is just packed with stars. Down in front, concert organizer Bob Geldof has a chat with Prince Charles. 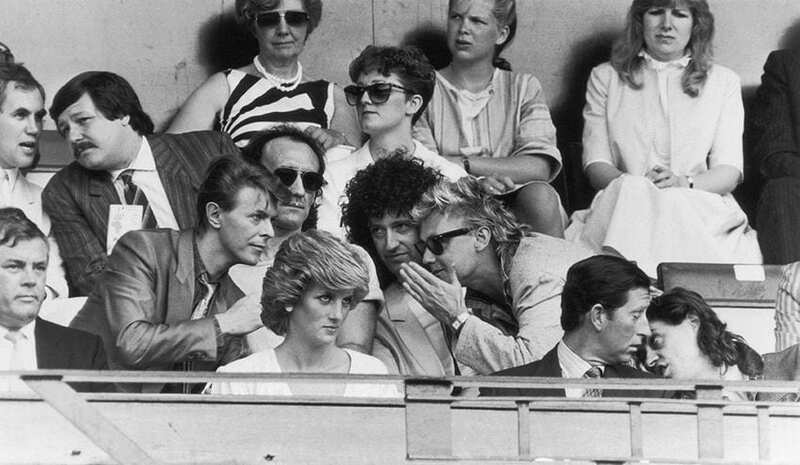 But it’s that conversation between rock superstars David Bowie and Queen members Roger Taylor and Brian May that makes you wonder: why couldn’t they let Princess Diana in on the gossip? She doesn’t seem amused. In his peaceful struggle for racial equality in the United States, Martin Luther King Jr. was met with indescribable hate, ultimately paying for his mission with his life. Among the numerous historical photos of the great American hero is this painful but touching moment from April 1960. 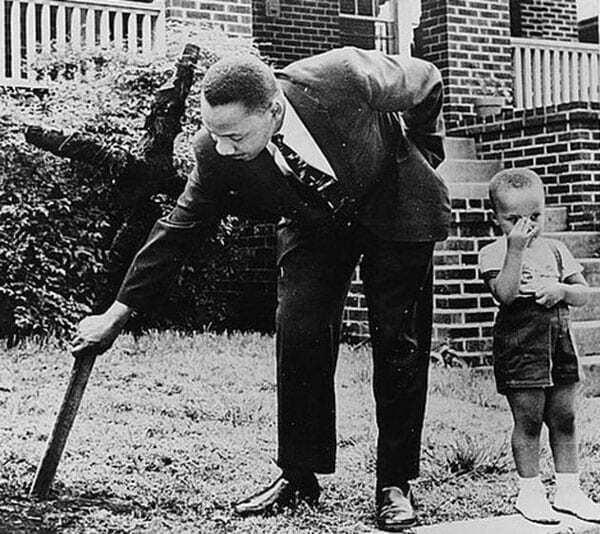 Here, King’s family had been targeted by racists seeking to intimidate them by burning a cross in their front yard. But MLK had to show the world he would not be made afraid. 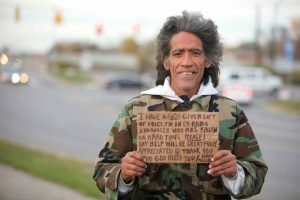 Rather than hiding, he and his young son came outside and calmly removed the cross. Though photography was no longer a new invention by the time this incredible picture was taken, apparently the British royal family hadn’t yet learned how to smile for the camera. But that doesn’t mean it’s not an amazing moment: these are four generations of royalty together here! Until very recently, Queen Victoria was the longest-reigning monarch in British history. 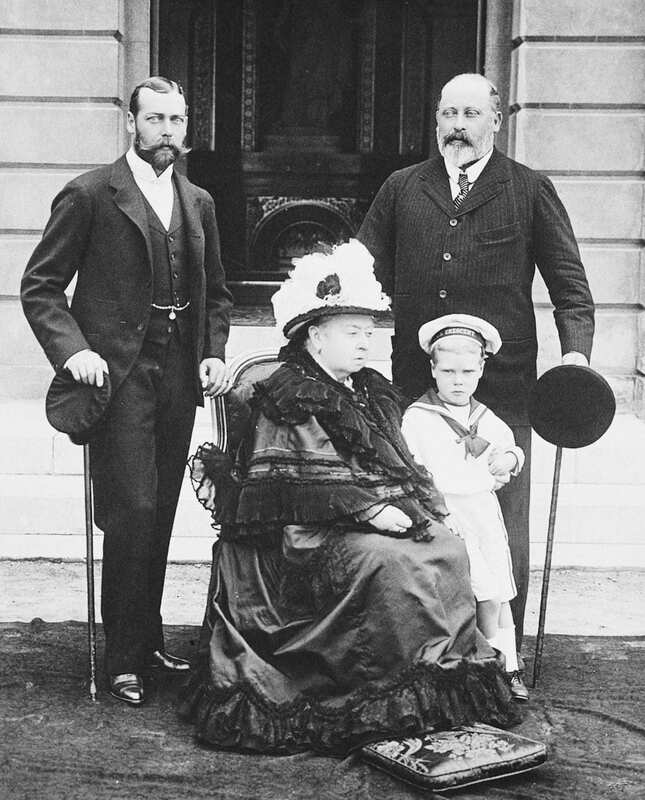 Behind her to the right is her son the Prince of Wales, who would succeed her as King Edward VII. Then there’s his son, the future King George V — and his son, the future King Edward VIII. Think that’s wild? Brace yourself, because this is just the beginning. Keep reading for more incredible and unexpected historical photos. It’s rare that we see such incredible split-second, life-changing choices documented by historical photos. But here, in this famous snapshot, we see a 19-year-old making a decision that would dictate the course of the rest of his life. 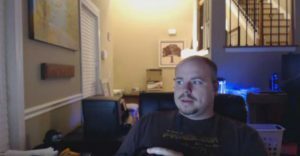 He’s quite literally changing sides. 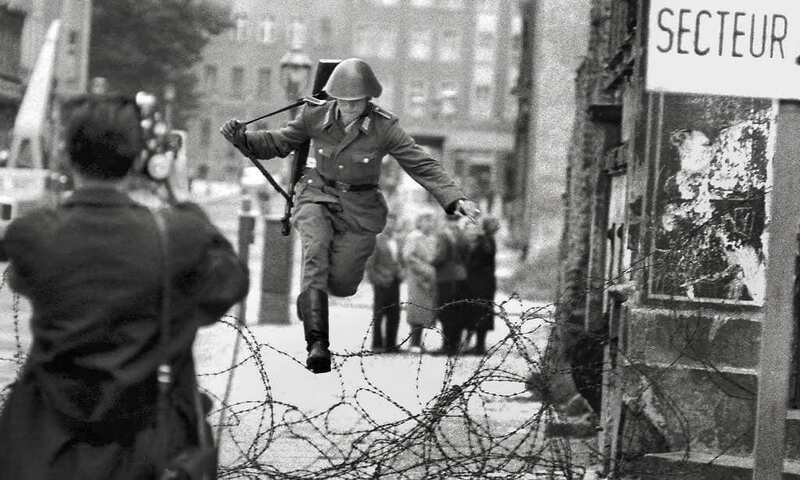 As the Berlin Wall was being constructed, young soldier Conrad Schumann decided he could not bear a future in Communist East Germany. As West Germans gathered on the other side and begged him to come over, a photographer arrived — and captured the instant Schumann escaped, dropping his weapon. 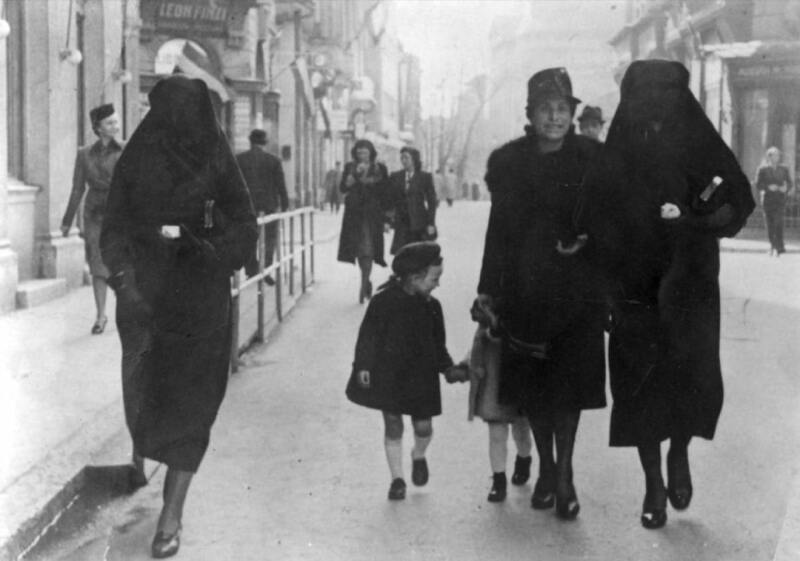 At first glance, even though the traditional veil on these conservative Muslim women may seem striking, this picture appears to be an ordinary group of ladies taking a stroll down the street. But the circumstances behind the scenes were anything but normal. These women are in great danger. During World War II, the Nazis were persecuting Jews in Sarajevo, Bosnia, who had to hide for their lives. Here, a Jewish woman named Rifka and her daughter are protected by their Muslim friend Zejneba. Zejneba is holding Rifka close so she can hide the Jewish star on her arm. 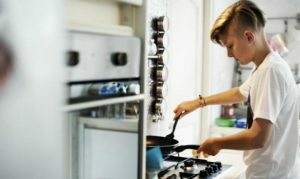 In today’s society, where people of both genders feel free to flaunt their bodies, we too often forget just how difficult it was many generations ago — especially for women. These ladies were trying to feel as comfortable as possible when they went for a swim, until this happened. It just wasn’t enough that they had covered their heads, and were wearing swimming costumes that reached the middle of their thighs. Ridiculously enough, this man has decided that their bathing suits are scandalous and they deserve to be measured to see if they’re too short. Sometimes, all it takes to be courageous is to move your two feet. That was certainly the case in the 1967 Boston Marathon, when Kathrine Switzer decided to enter the competition. There was nothing unusual about Kathrine — except for the fact that she was a woman. As groovy as the late ’60s seem, gender equality still had a ways to go. 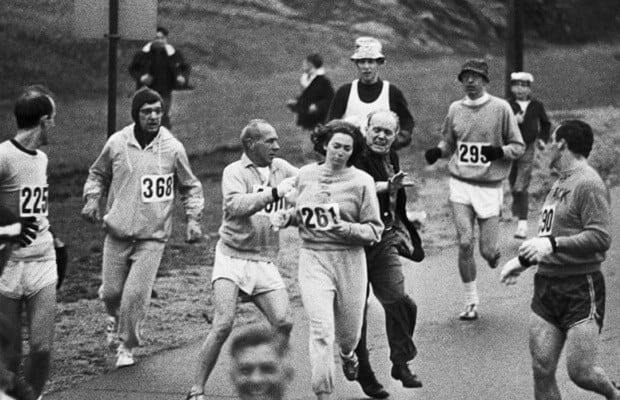 It was still written in the rules of the Boston Marathon that the iconic race was off-limits to women. Here, a race official tries to tear the number off Kathrine, and her boyfriend shoves him away. As can be told by the utter destruction in the background, this woman is lucky to be alive. 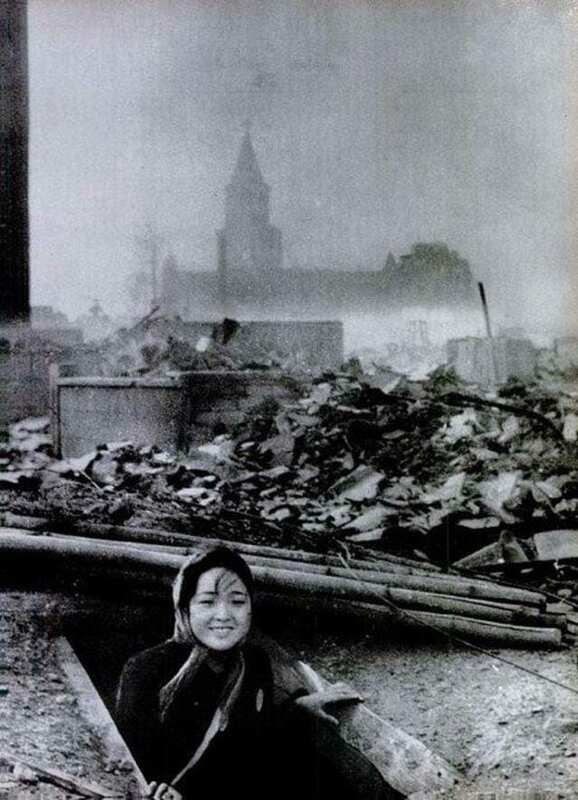 She’s coming above ground after hiding during an air raid, and her face is filled with absolute joy that she has survived. Does she realize it was an atomic bomb? For witnesses of the American atomic bombing of Nagasaki at the end of World War II in August 1945, it was as though the sun had quite literally exploded. This woman appears thankfully unscathed, but up to 40,000 people perished, and 60,000 were wounded. Get ready to be amazed by these next historical photos, because they’re nothing short of astounding. Mimes and clowns have a tendency to creep us out more than a little. But this is one of those historical photos that’s just unbelievable. 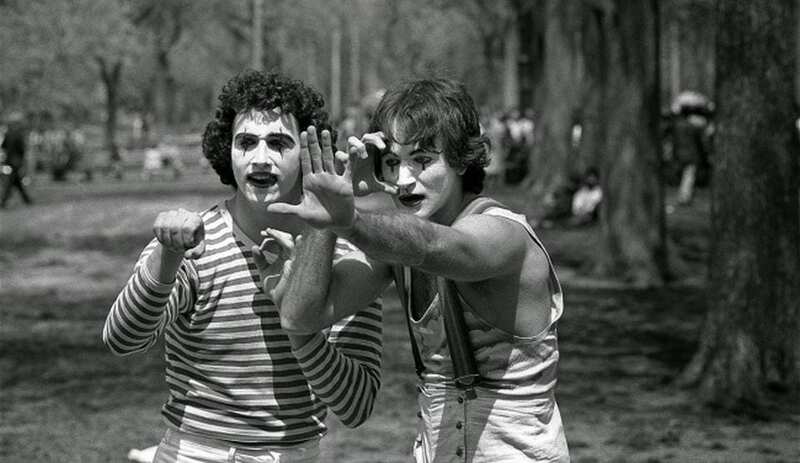 The man who photographed it in 1974 didn’t realize for more than three decades that the mime on the right is Robin Williams. Romping around in New York City’s Central Park, the late comedian was still a student at Juilliard. Considering his lightning-fast wit and loud persona, not to mention how quickly he could deliver his lines onstage and onscreen, it’s hard to even imagine this genius staying silent! There are some pretty peculiar contraptions documented by historical photos, but this one is probably one of the most puzzling. Invented in 1925, this alien mask was called by the ominous name The Isolator. 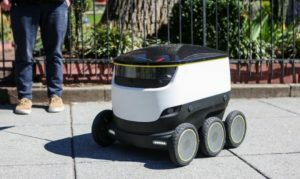 If it seems like it’s from a science fiction movie, you’re not far off. 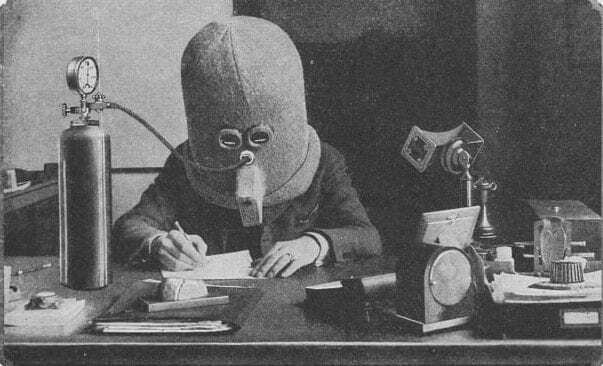 The inventor of The Isolator was also a science fiction publisher, but this helmet was actually intended to be used by real people. The reason? It is meant to help you focus! Oxygen is pumped in, hearing is blocked, and you can only see through a slit. Seriously?! The great tradition of protesting to correct inequalities is a proud part of participating in a democratic society. Check out these signs from these patriotic American gentlemen marching. Now that’s a message we can all get behind. But why are they in the streets? 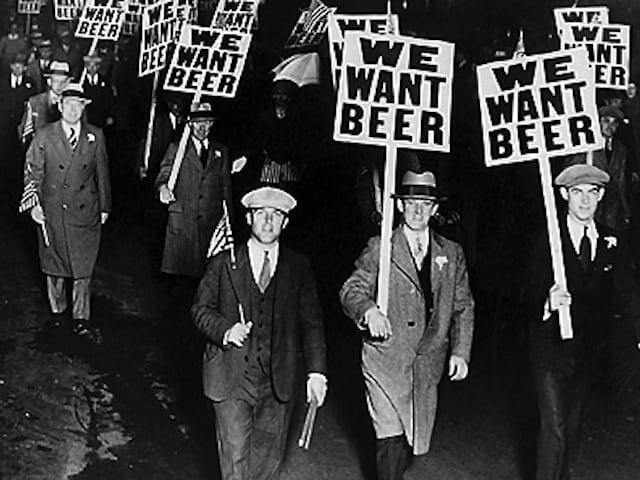 This straightforward protest is from the Prohibition Era when alcohol was banned in the United States. These men are taking a stand, fighting back against their hyper-conservative society — and just asking for the right to have a cold one. Cheers! Don’t be fooled into thinking this is just an ordinary photo of ordinary ladies, with or without their groovy hairstyles from the early 1960s. This image and other historical photos like it allow us to peer into a world that simply does not exist anymore — in Afghanistan. 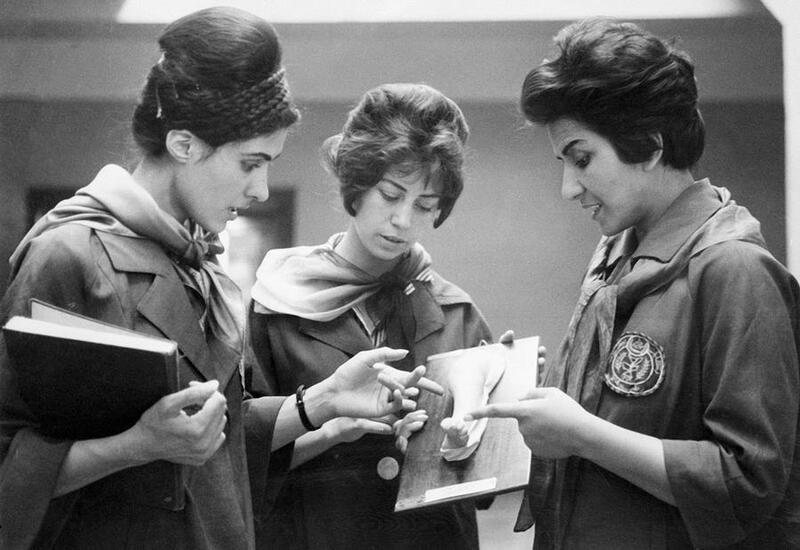 Here, two women in medical school at the university in Kabul confer with their professor. There is practically nothing in this photograph to tell us what country they’re in, let alone that they are standing in what is today one of the most conflicted areas on Earth. 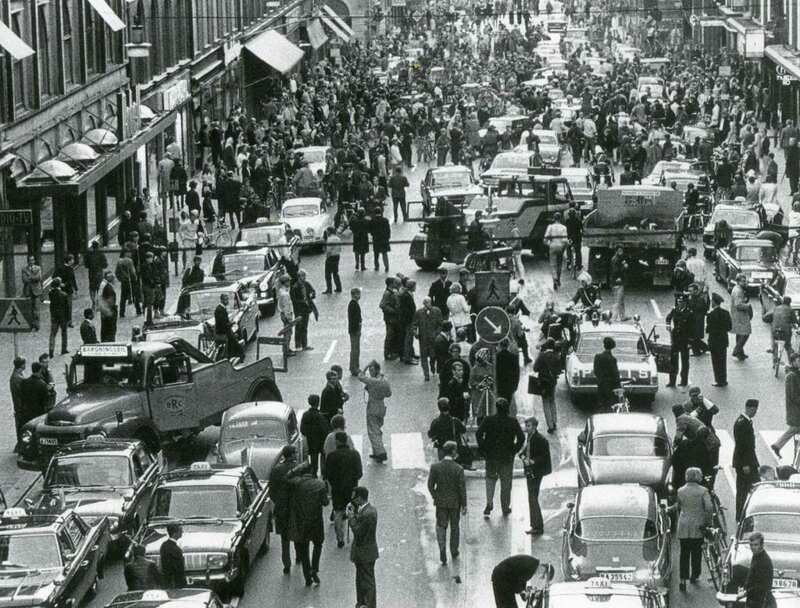 September 3, 1967, was a glorious, challenging, and frustrating day in Sweden’s history. It even got a dramatic name all to itself: H Day. So what happened on this momentous occasion? Was there a riot? A concert? Was someone new crowned king? The answer is quite out of the ordinary. On H Day, Sweden switched from having its citizens drive on the left side of the road to driving on the right. Even though the government prepared the country, going so far as to make colored gloves to remind them of the change, there were naturally a few slip-ups. Read on to see if you guess the crazy situations happening in these next historical photos? Who are these groups of gentlemen walking with canes, looking like the Monopoly’s Rich Uncle Pennybags, and why have they gathered at this stone wall? 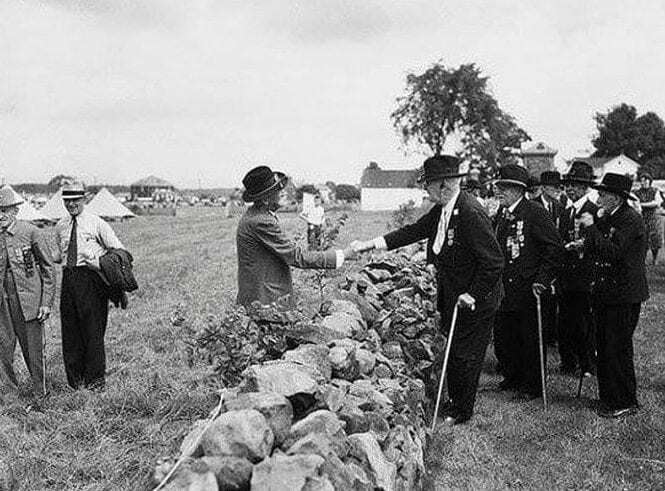 This handshake actually helped to heal the aftermath of one of the greatest fractures in American history: the Civil War. These are veterans who fought in the Union and Confederate Armies during the American Civil War. They’ve gathered here at Gettysburg on the 75th anniversary of the infamous conflict that pitted the two opposing sides against each other. Just imagine walking around town and bumping into this group of officers, wearing those unforgettable uniforms. What would your first reaction be? Would you be able to take them seriously? As snazzy as they look, you will definitely be disheartened to learn that those are indeed real leopard pelts. The outfits have long since been retired, as has the position. 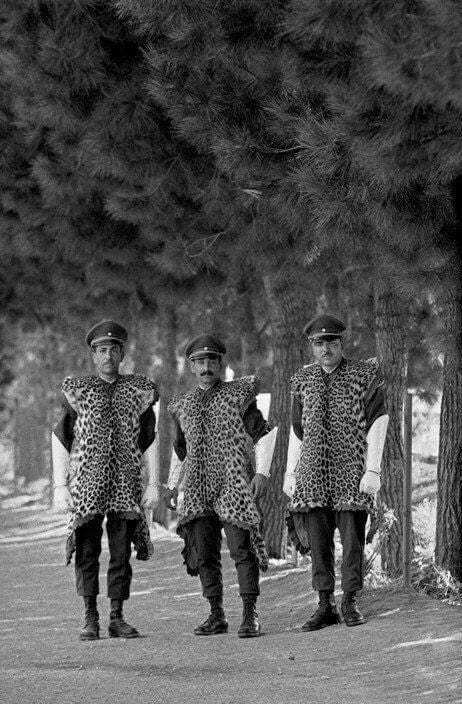 These are soldiers of the Imperial Guard of the Shah, the former Emperor of Iran before the 1979 Revolution. Regardless of what the people themselves think, it’s certain some big cats out there are relieved. It’s hard to imagine that Parisian streets were once a total war zone. But during World War II, every corner was a potential battle arena. 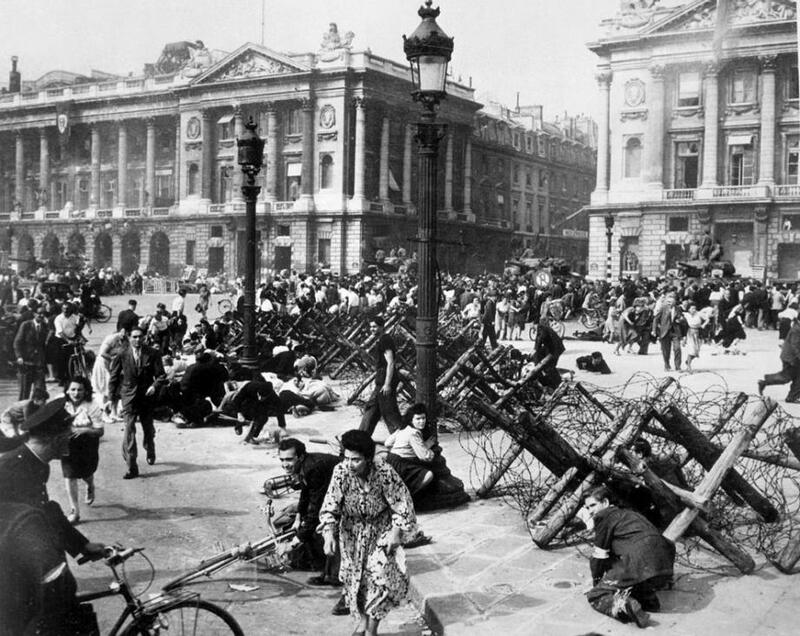 There are many dramatic historical photos documenting the Liberation of Paris, and below, the Place de la Concorde is still strewn with barbed-wire barricades. These frightened civilians are dashing for cover, because even though American and Free French troops have just about finished liberating the city, pockets of German soldiers have remained, and one sniper has started to open fire on the dazed crowds. This picture is a real puzzle. Judging by the poofy haircuts and heavy blouses on the ladies, you can tell that it’s from at least a hundred years ago. But those hairdos are so Western, yet the gentleman is smoking a Middle Eastern water pipe. So who are these people? 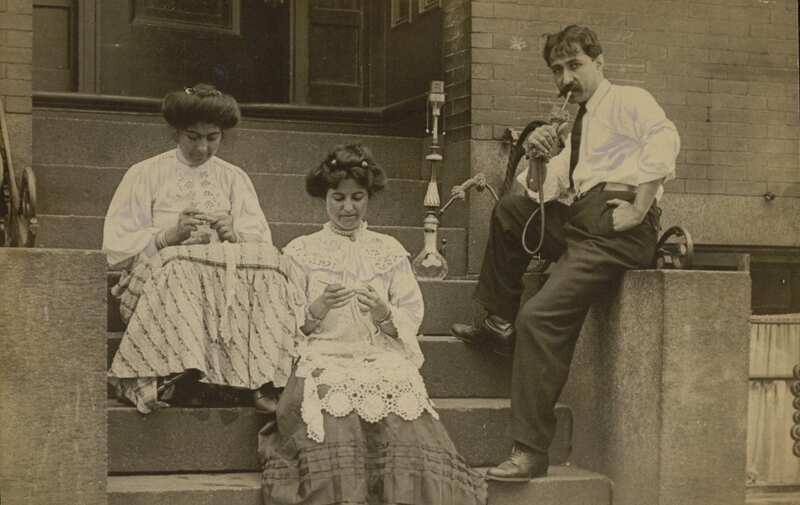 Pictured are Syrian immigrants to Boston, Massachusetts, sitting on the stoop of their building back in 1909. Though Boston is definitely better known for its proud Irish presence, Syrian and Lebanese people once formed a big percentage of the city. This is one of few historical photos revealing their world. Ignore the color and shape of this lovely lady’s hair. If you were able to recognize this classic smile within a few seconds, you’re not alone. She’s only one of the most famous women of all time. This is none other than an 18-year-old Marilyn Monroe. Back in 1944, she had already been married for two years to her first husband, who was away fighting in the Pacific. Norma Jeane Dougherty (as she was known back then) was doing her part for the war effort working at a munitions factory when she was discovered by an Air Force photographer, who snapped these historical photos.